Download the full article from which this summary was taken. 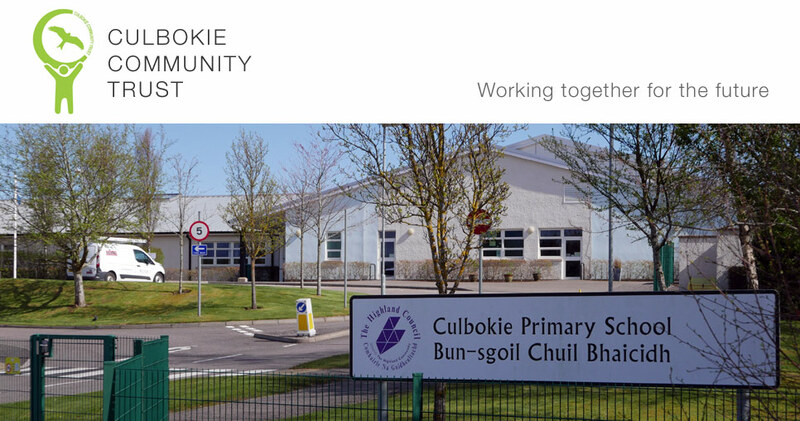 The Culbokie area has rich soils and the area has been farmed for at least 2000 years. 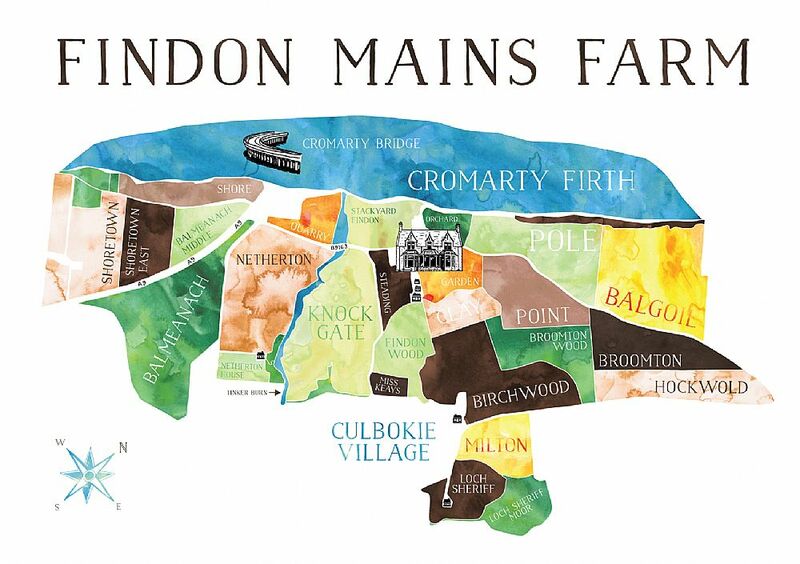 Findon Estate was once much larger than it is today extending across the whole village from Urquhart in the west to Shoreton in the east. This land was owned by the Fraser family (who also had lands in Beauly and styled themselves ‘of Culbokie’) from the early 1500s. The estate then passed to the Scatwell Mackenzies in the late 1600’s who went on to build Findon Mains in the mid18th century. A layout of the fields with their names is shown in the Gallery below. The Mackenzies left Culbokie in 1886 and the estate was broken up in the mid 1920s. The rights and powers to hold two annual fairs at Culbokie were granted by Charles II to Sir Roderick Mackenzie in 1681 for ‘….buying and selling of horse, nolt (cattle – oxen, bulls and cows collectively), sheep, skin, hide, tallow, butter, cheese, linen, plaiding, linen-yarn, plaid wool, woollen cloth, wine, wax, planks and all other kind of timber, cloth, broad and narrow, of whatsoever colour or kind, victual of all sorts, and all other kinds of goods and merchandising commodities....’. Fairs continued in the village until about 1900. Many old coins dating back as far as the mid 16th century have been found in the village which may have been dropped in the bustle of a busy market. Old estate maps of 1769, 1837 and 1849 along with statistical accounts of the 1790s and 1840s chart the changes in farming and the rural way of life during this period. Most families held a small parcel of land and were involved in land husbandry, even those that had a handicraft such as boot making or carpentry. This was a time of agricultural improvements such as enclosure, crop rotation and the introduction of threshing mills. Crofting life was tough but often enjoyable, as told by Annie Smith Mackenzie in her book ‘Earth’s Crammed with Heaven’ about her life growing up on a Culbokie croft in the early 20th century. At this time the oats were taken to the Alcaig mill to be made into meal, blankets were washed outdoors in big wooden tubs using hot water boiled up over an open fire, visits to Dingwall involved a long walk, a slippery pier and a ferry and threshing was a big neighbourhood affair. The obituary printed in the Ross-shire Journal 28/7/2000 can be accessed here. Of further local interest is that she was Secretary of the Dingwall & District beekeepers' Association for 13 years, retiring from that position in April 1976. As the years passed James Dingwall’s tailoring business became an agricultural business that until recently existed as Agrii and his nephew, Murdo Bethune, helped to establish the Black Isle Show. 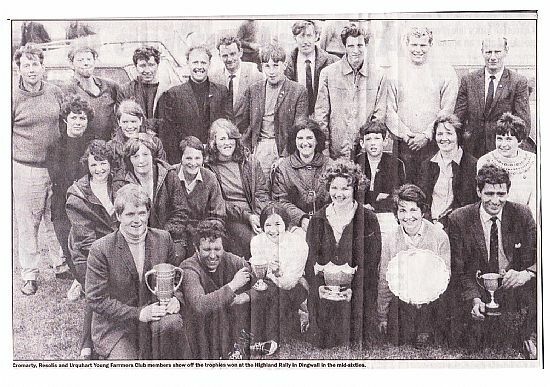 Cromarty, Resolis & Urquhart (CRU) Young Farmers' Club, sometime in the 1970s.